The dynamic “LITTLE SAMMIE LEE” brings the raunchy, rock style of TINA TURNER to the party! 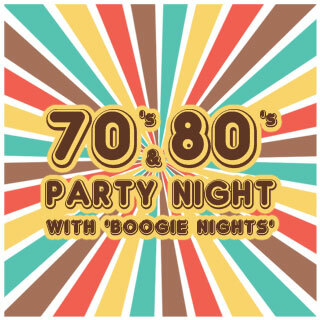 Dance the night away to all your 70s & 80s favourites from live band 'BOOGIE NIGHTS' including classics by Chic /// Donna Summer /// Abba /// Sister Sledge /// Whitney /// Bee Gees /// Jacksons /// T Rex and the Rollers. 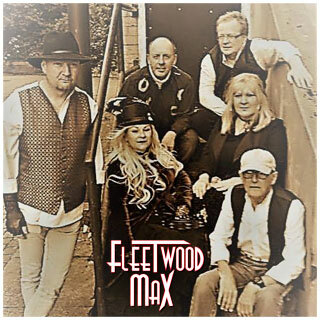 FLEETWOOD MAX are an enigmatic, exceptionally talented group of musicians and performers, who have come together to share their love and appreciation for this inspirational supergroup, Each individual member brings decades of experience performing in various different projects at the highest professional level and have spent the past months perfecting the unique sound and essence that we have all come to know and love as Fleetwood Mac. Having lovingly recreated that authentic sound with outstanding musicianship and attention to every little detail, not to mention the stunning vocals and 3 part harmonies, don’t miss this authentic tribute to one of the biggest supergroups of our lifetime is one, not to be missed! 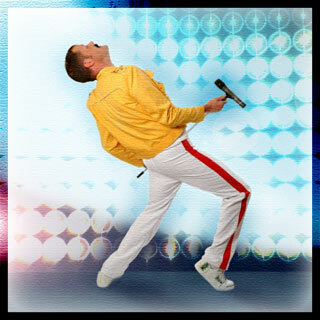 Jim Smart's tribute to Freddie Mercury is one of the most energetic and fun tribute shows available in Scotland today. Paying tribute to rock's biggest ever frontman is no easy feat, but Jim manages to pull off Queens biggest ever hits with accuracy and ease, all in the original key and all in perfect tune! All the hits are included - One Vision, It's A Kind of Magic, Radio Ga Ga, I Want To Break Free, We Are The Champions, Bohemian Rhapsody, I Want It All, We Will Rock You, Fat Bottomed Girls, The Great Pretender, Crazy Little Thing Called Love, Living On My Own, Barcelona, Show Must Go On, Somebody To Love, Breakthrough, I Was Born To Love You and Don't Stop Me Now – but, BE WARNED!, if you are looking for a sit down show, expecting to simply sit and watch, then this IS NOT the show for you. Jim's tribute to Freddie Mercury has the audience in the palm of his hands from the onset with an outstanding vocal performance, extensive powerful vocal range and plenty of audience participation. Jim even invites a few members of the audience to participate in the show, often with hilarious and unpredictable outcomes - and no 2 shows are ever the same! The Motown Brothers are one of a few funky but, sophisticated groups, with an African twist, currently performing in the UK. Just 3 guys with a distinct attitude and an average of 25 years performing experience amongst them - they exude class! 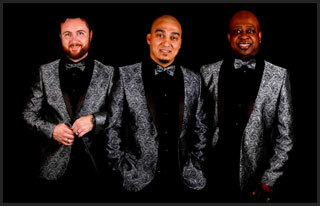 Each with their own individuality and creativity they have developed THE MOTOWN SHOW which delivers “just what it says on the can”, reviving all the instantly recognisable hits churned out in the 60’s and 70’s by Berry Gordy Jnr’s mammoth stable of stars. A guaranteed evening of favourites for all ages with superb close harmonies and individual solo numbers. Unlike most other Motown groups, as well as the experience, these fellas still have youth on their side, providing slick and modern choreography, which many say is a cut above the rest. With this group you have the whole package, the looks, the moves and most importantly the voices. Don’t come expecting to sit down….the music just won’t let you! 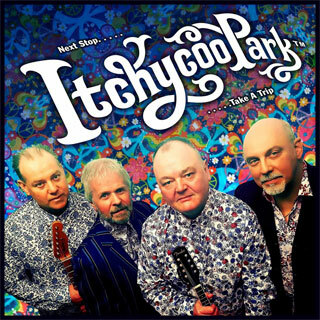 ITCHYCOO PARK invite you to take a trip back with them to the 60's to celebrate the great music of that unique era, with songs by The Beatles, Stones, Kinks, Who and other UK and US artists. Re-live the 60’s - live!! In 1993 Pat cairns appeared on the Grand Final of ITV’s Stars In Their Eyes securing an amazing 19,765 votes for his tribute to Kenny Rogers. 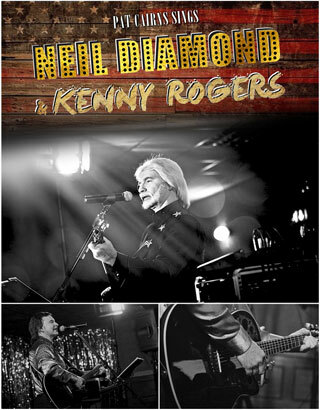 In recent years Pat has developed a highly polished tribute to another music legend, Neil Diamond and we are pleased to welcome him featuring both artistes in one night of entertainment. Formed in 1999, it all came about when three brothers decided they wanted to take their love of Rock ‘n Roll music to the masses. 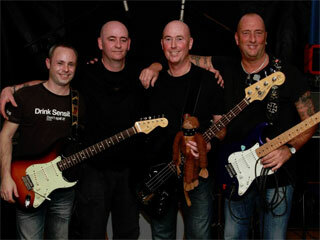 Eddie, Raymie and Paul Donald adopted another BRO, John Carey Donald, found a trusted roadie called BT (get it?) and hit the road with the motto. From then until now they have developed their own musical style and made a name for themselves playing gigs all over Scotland and beyond! So what to expect? - EXPECT THE UNEXPECTED, with a set list that ranges from “Whisky In The Jar” to “Fulsom Prison Blues” they present a high energy, blast of Rock ‘n Roll with covers of instantly recognisable chartbusters that quickly gets the party mood going and takes you to that point where you never want it to end. Their instant impact on an audience has often seen them called upon to open for some of our best headline acts at The Ferry because we know they set the scene better than anyone but, tonight, they headline their own show and we just know it will be a blast!